You are here: Home / Books / What Do Pokémon Balls, Pumpkins, and Death Stars Have in Common? 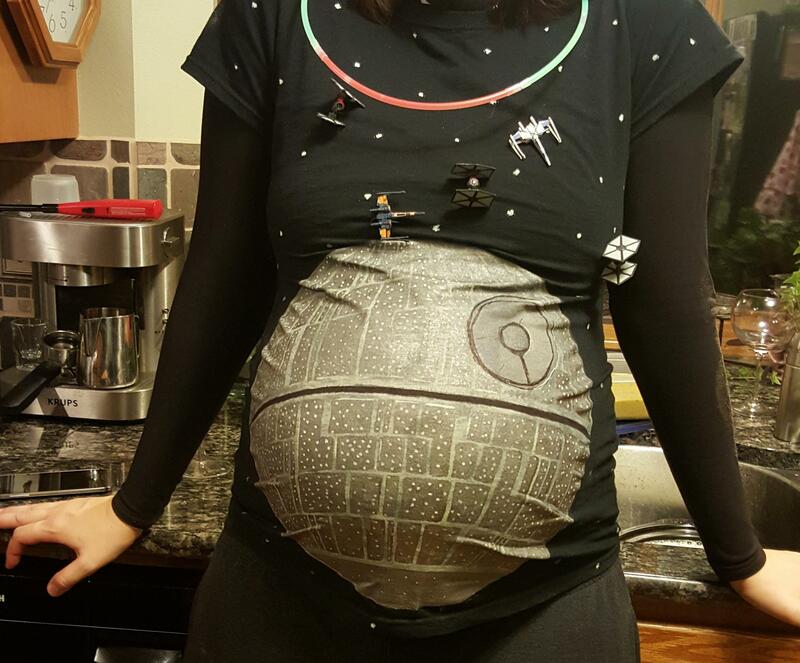 Just Google “Baby Bump Costumes”! What Do Pokémon Balls, Pumpkins, and Death Stars Have in Common? Just Google “Baby Bump Costumes”! Halloween 2016 is just two weeks away and people are starting to get excited about designing and showing off their costumes. I personally am not a big costume fan, but it is fun to watch the increasingly sugar-jagged kids come up to the door each year. We had some pretty enthusiastic trick-or-treaters in Burlington, Vermont but it is fair to say that the kids (and adults!) in Brooklyn take Halloween costumes to an entirely new level. As a recent article on the humor Web site Bored Panda illustrates, baby bumps offer expecting moms some very creative costume possibilities. The top pick, shown on the left, is a woman who painted or appliquéd a Death Star on her shirt and pulled it over her belly. She finished off her costume by pinning X-Wing and TIE fighters around the Death Star. The wrecking ball used by Miley Cyrus in her music video (typically with a Barbie doll hanging from a chain necklace). There is also a disturbing range of costumes that depict an infant or the creature from “Alien” clawing or chewing its way out of the mother’s belly. I understand the aptness of the metaphor; many of my female friends have identified with that film during pregnancy. Some of the costumes and make-up jobs, however, are definitely too over-the-crop-top for my taste. If you are thinking about incorporating your baby bump into your Halloween celebration and sharing a photo online, here are some issues to consider. Public and Permanent™: It is impossible to make this point often enough — anything that is posted to the Internet is available to the public and is likely to be there permanently (h/t to Richard Guerry, Founder and Executive Director of the Institute for Responsible Online and Cell-Phone Communications, who coined the phrase). The search results for “baby bump Halloween costume” prove the point. The hundreds if not thousands of photos are drawn from Web sites and social media feeds from across the Internet. While many of the photos were undoubtedly uploaded by the women themselves or with their consent, it is safe to surmise that some of these photos were posted or reposted without the consent of the expecting moms. To be fair, many or even most may simply not care. If that’s the case, then of course there is no privacy issue. But if any of those expecting moms shared their photos online with the expectation that they would only be seen by friends and family, then they were sadly mistaken. 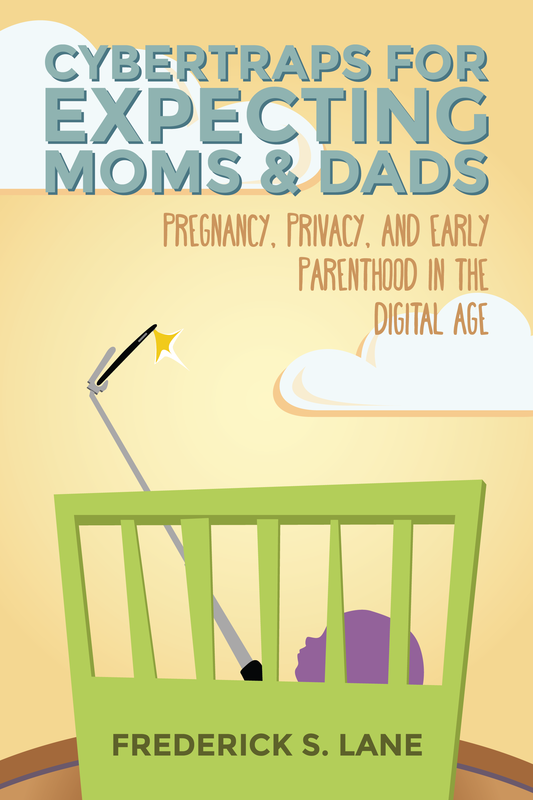 As I discussed in Cybertraps for Expecting Moms & Dads, there are numerous ways for people to share photos with family and friends without posting them online. Admittedly, none of them offer the convenience of social media or the endorphin rush of social media “likes,” but they do reduce the odds of misappropriation and misuse. It is important to point out, of course, that the odds of misuse are merely reduced. The reality is that any image or video that is stored in a digital format can easily be copied and repurposed. Just ask Hollywood. Photo Fetish: One of the great things about the Internet (or one its more deeply disturbing attributes, depending on your perspective) is that it is always confronting us with the question: “Well, if you’re ok with that, then what about if someone says or does this? You say you think free speech is important? Well, let’s test the strength of your principles when trolls (and presidential candidates) turn Twitter into a fact-free morass of misogyny, racism, and homophobia. The same is true for photos. You may genuinely not care if one of your friends re-shares your cute baby bump Halloween costume, or if you unintentionally wind up in a Bored Panda listicle of the Web’s 15 funniest bump costumes. But is your answer still the same if your photo is used without your permission to promote a cause you don’t support,or a product of which you don’t approve? How will you even know? You may decide that even those risks are not deal-breakers for you, given the relatively low odds of such misuse and the benefits of using social media. That is certainly a reasonable conclusion to reach. There are two important points to remember, however. First, you should understand the full range of possible misuses when you post material online, so you can make an informed decision. Second, baby bump photos are a great opportunity to reflect on the fact that while it is one thing for you to decide, as an autonomous adult, to post photos of yourself online, it’s another thing altogether to make that decision for a child who might not necessarily agree with that decision when he or she gets older.